With the first 2012 GOP presidential debate Thursday in South Carolina, top Republicans in the Palmetto State are warning several hopefuls who have chosen to skip the event that it will hurt them. “Anyone that discounts South Carolina is making a huge mistake,” said South Carolina Governor Nikki Haley. South Carolina traditionally holds the first primary in the south. Since it began in 1980, no Republican has won the GOP presidential nomination without first winning the state. . . .
Gov. Haley believes skipping Thursday’s debate will put some of the candidates at odds with demanding Palmetto State voters eager to begin reviewing the candidates and their character. 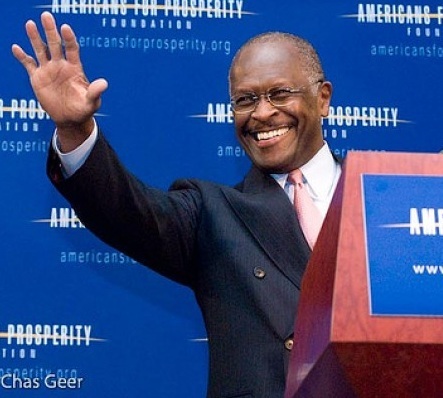 Jazz Shaw at Hot Air: “For Keough to not only decline Romney’s invitation to the 2012 dance, but immediately take to the pages of Mother Jones to trash his former boss’s bona fides is fairly remarkable.” Also fairly remarkable: The Quinnipiac Poll ignores Herman Cain.